First released 2012 and with a pop culture footprint that’s surprisingly vast for such a small computer (the size of a large credit card) having been featured in both the iconic Mr Robot and the wildly successful Big Bang Theory, the Raspberry Pi computer is the perfect first step if you’re planning on learning how computers REALLY work. It’s a device that has sparked a minor renaissance in DIY computer culture and with its ubiquity and affordability, chances are you already have one but you just don’t know what to do with it. 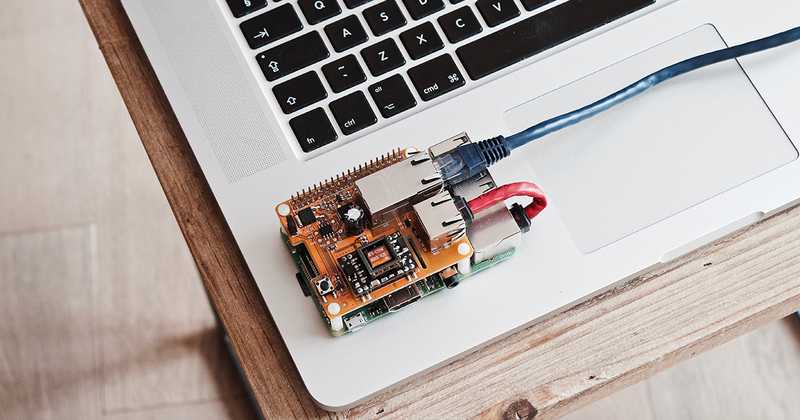 Whether you got one in your stocking for Christmas or you’ve it’s been sitting in your desk for months now gathering dust whilst you figure out what to do with it, the Raspberry Pi is a surprisingly powerful and flexible little device that can form the basis for a number of exciting projects for programming beginners. Below, we’ll put a spotlight on three of the most exciting and approachable Raspberry Pi projects that will help you on the road to true DIY freedom. The trend for retro ‘classic’ gaming consoles in recent years has shot through the roof with companies such as Nintendo, Sega and Sony jumping on the bandwagon and releasing tiny machines that emulate hardware from years and sometimes decades past. These consoles, however, are all severely limited compared to what a Raspberry Pi can offer. For less than the cost of a Nintendo classic, a Raspberry Pi, if properly utilised, could potentially play almost any game from the 70s, 80s, 90s and even the early 00s. There is also very little hardware tinkering involved, so turning your Raspberry Pi into a RetroPie is the perfect first project. The Amazon Echo devices with their Alexa voice activation have become incredibly successful and iconic in their own right. However, you don’t need to use Amazon hardware to utilise the power of Alexa. Whilst a few ambitious hackers were turning their Pis into Dots from the moment the devices hit the shelves, Amazon saw there was no way to stop people from doing so so actually released official instructions that reveal how to safely turn your Raspberry Pi into an Amazon Echo Dot. It’s a surprisingly simple process too. This one is a little more complicated so you might want to hit up RS Components for a few spare components before you get started. However, if you desire a small and subtle, but deceptively powerful home surveillance system that doesn’t set you back a small fortune then the Raspberry Pi might be the answer you’ve been looking for. You’ll need to mount the camera close to a power outlet (as the Pi isn’t battery-powered) and you’ll also need to purchase a camera. However, any USB camera should suffice and the programming required is nothing particularly taxing. However, this is comfortably the most intensive project here so you might want to work your way up to it.